IPS Ceramics USA have contributed to a fantastic cause in Greater Charlotte For YMCA. 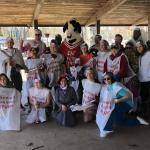 The event was organised to raise money for Lake Norman YMCA charities, and the team at YMCA Greater Charlotte all dressed up, with the team leader Michelle dressing up as Mary Poppins (her nickname given from the children at YMCA). 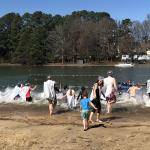 The YMCA team ran into the freezing cold water at Lake Norman to raise money for the charity. 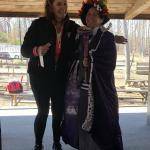 In total the event raised over $3000 which will go a long way to helping the children in the local area. “Every dollar donated to the YMCA of Greater Charlotte stays local and helps us reach kids and families who lack the resources they need to thrive”. If you would like to donate to this fantastic cause, follow the link below.